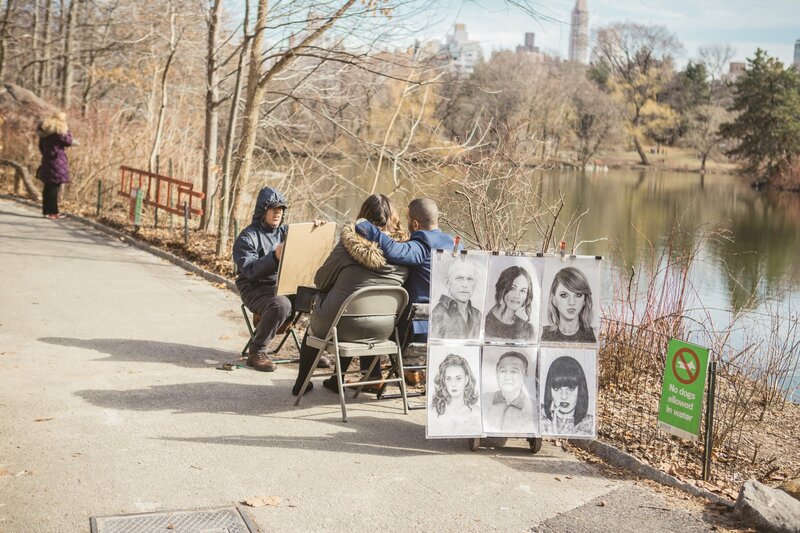 Imagine enjoying a beautiful day in Central Park and asking your partner to pose for the street artist. 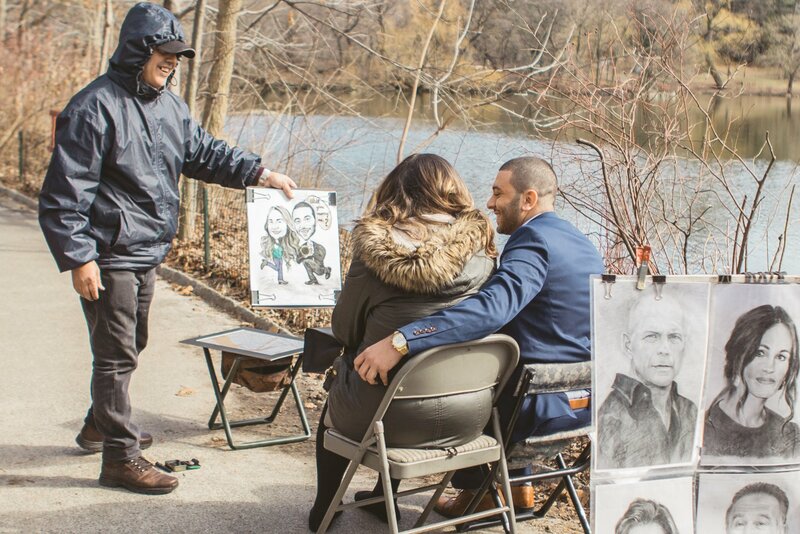 In a couple of minutes the artist will ask if you want to check the sketch and show the picture where she can see you on the knee and ” Will You Marry Me?” sign. 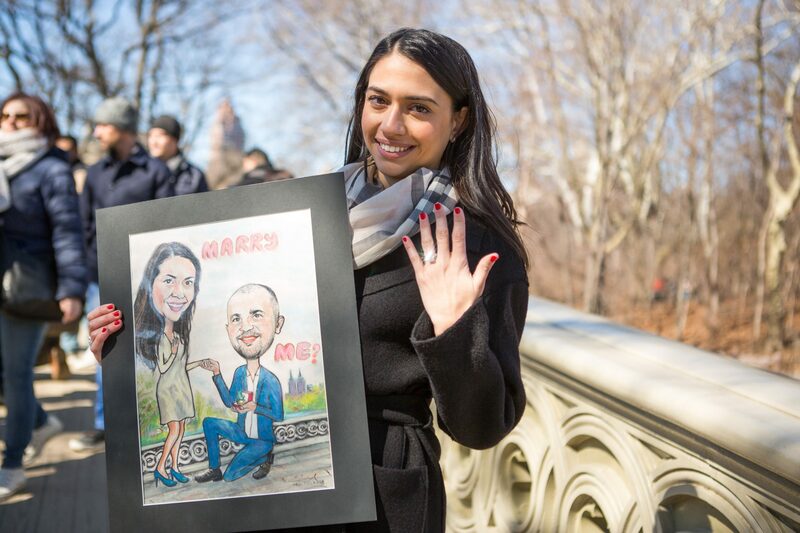 This is very fun and memorable proposal and of course you keep the painting. 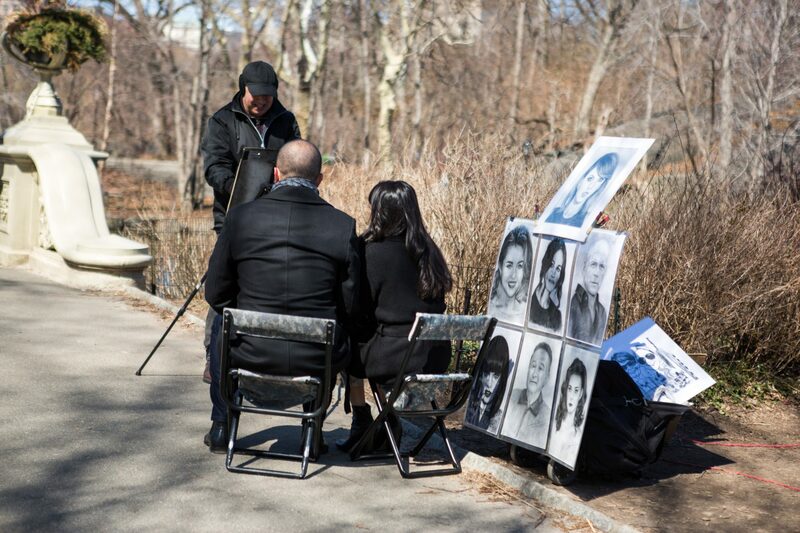 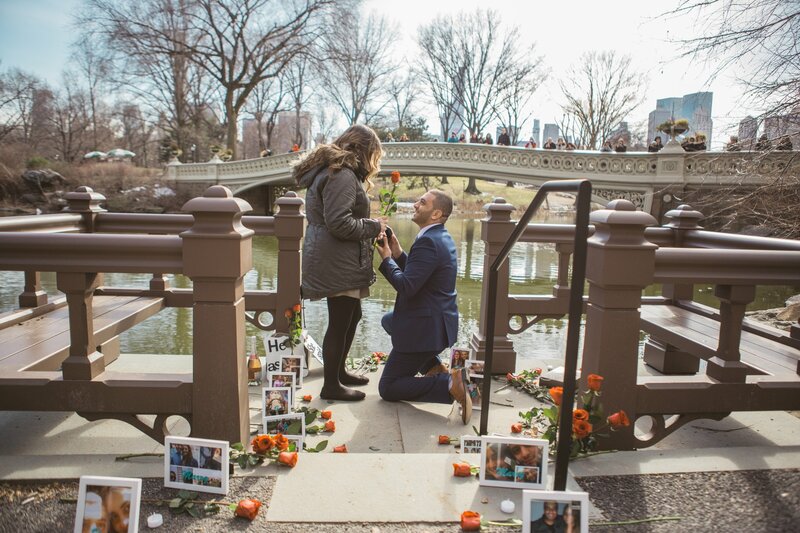 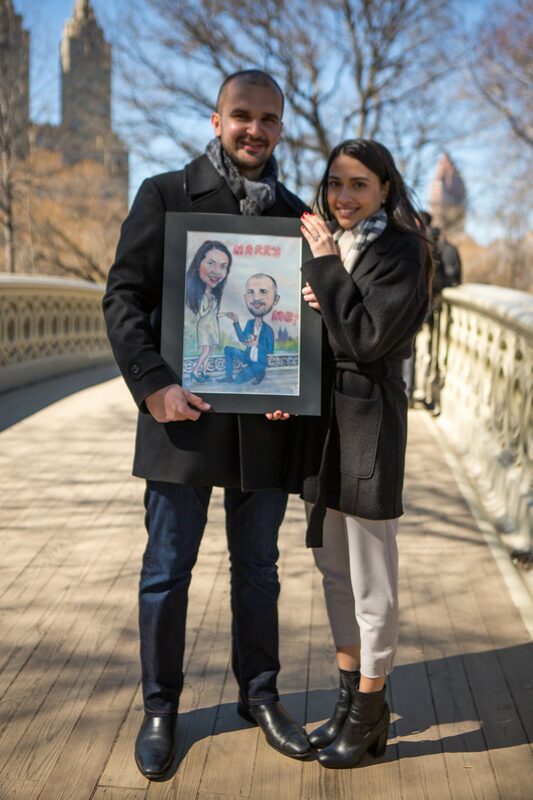 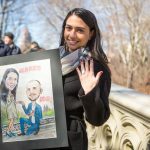 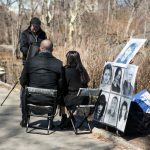 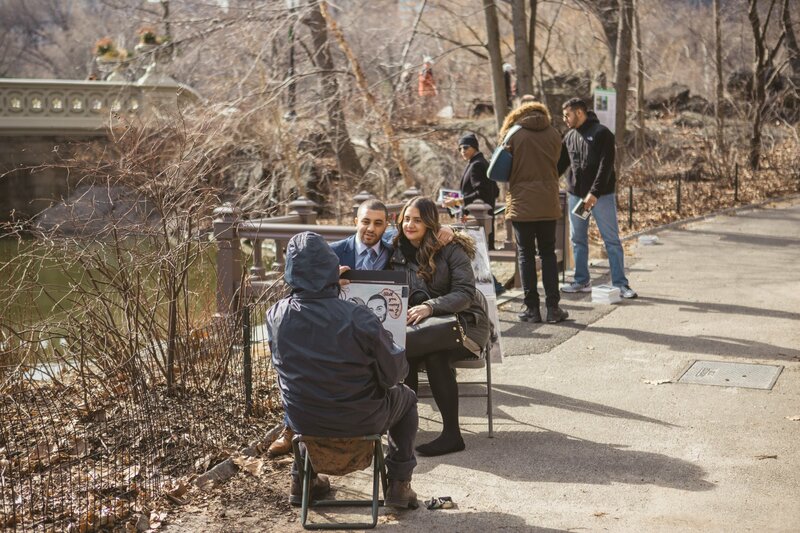 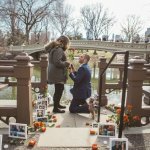 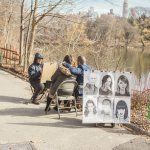 Surprise your partner with the caricature picture proposal in the world famous Central Park.